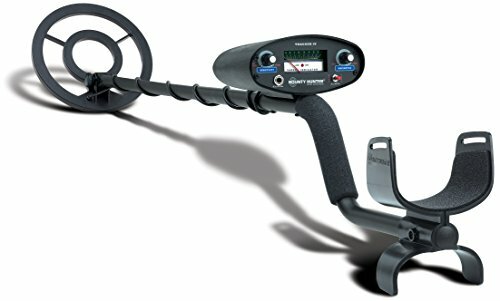 Best Metal Detector For the Money (and Beginners)! Whenever trying to purchase anything, each one finds themselves stuck at finding the ‘right purchase’ which usually translates to value for money. Most of the people try to spend less for more as this is not only wise but it also spares some few bucks. 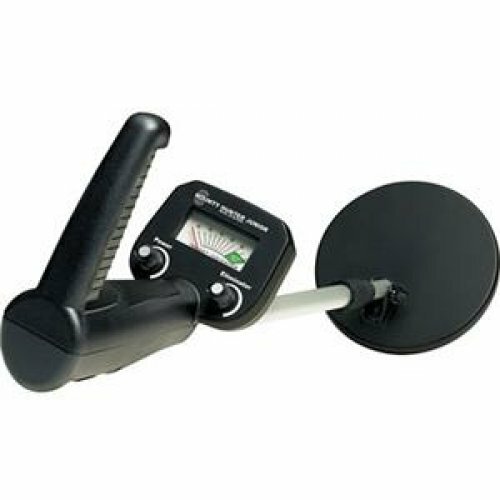 When it comes to metal detectors, you also want to find quality for every dollar you spend. There are several things you want to bear in mind when shopping as a safe bet or guideline to smart buys. This also applies to people starting out in metal detecting, they should try to start with a bit cheaper devices that are still good quality. 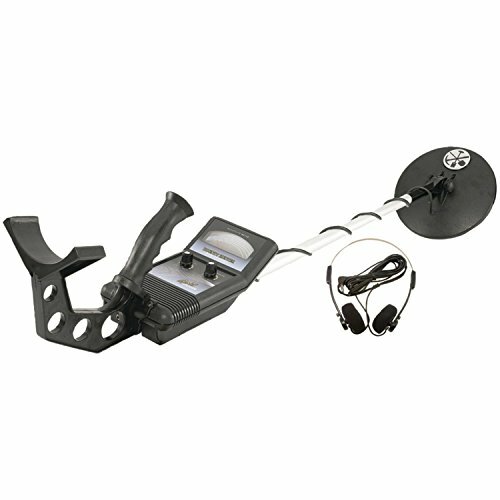 The products mentioned in our metal detector reviews are also very good for beginners. 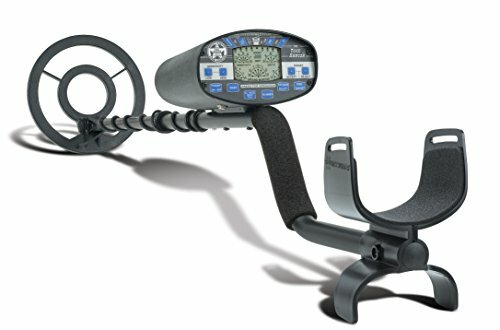 This is a top of the line product from Bounty Hunter that is designed for professional treasure hunters. It comprises an 8-inch D-tech search coil that is fully submersible in water. The coil is interchangeable (with another coil included in the purchase) and has the Ground Trac feature which automatically balances the machine to the conditions in the soil. It also has a large LCD display with a readout feature and fully-programmable touchpad control. This makes it suitable even for entry-level users who are still getting acquainted with these machines. The display shows control of target depth, its identity, battery and sensitivity levels. The iron level and discrimination are also indicated on the display. Along with the level of sensitivity, these two can be altered to suit preferences of the person doing the sweep. Increased sensitivity reduces electromagnetic interference hence you won’t be getting beeps that are misplaced and futile results. The audio has three-tone discrimination and four-level iron discrimination. All these work on an in-built speaker and are compatible with headphones too. It has sniff mode too, which can be used to eliminate certain metals that are commonly encountered as trash in one particular area. This makes the search more focused and is useful for mid-level trash areas with cans and other junk deposits in the soil. The feature also allows search of only one item on the target ID scale. The machine comes with a five-year warranty and another search-coil, a 4-inch gold nugget. The coil, as the name suggests, is good for hunting for gold coins (and others too) within a narrow range of depth for a change. It has a headphone jack for people who would rather search in solitude and requires two 9V alkaline batteries to run. These two are not found in the box. You have to buy them instead. At less than $50, this stylish device will find coins made of silver and gold even as deep as 6”. Larger items can be searched to a depth of 2 feet. It is suitable for sweeps in the beach, at the park or in your own backyard. It has automatic tuning and ground balance which acclimatize to the ground. This is important as different soils have different mineral content and in high concentration, a device would go off at each turn. It also has a treasure meter and its sensitivity can be controlled. This comes in handy when in a beach for example where there could be many noises around from deposits on the sand. There is a trash eliminator to allow the user to zero-in on gems and leave out cans and nails. A motion all-metal mode is equally available for the detection of all metals in an area, you may want to know the level of metal concentration first before beginning a specified search, right? It comes with headphones and a headphone jack. It uses two 9V alkaline batteries which are not included in the purchase. It is a bounty hunter product implying reliability and guarantees good packaging that is certified frustration-free. It is thus easy to set up and use. At just under $100, this rugged machine is built to withstand any conditions out there. It can be used even in salt water beaches with high mineral content as well as on grounds with very high mineral content as well. This is probably because it has preset ground balance that neutralizes in response to the minerals in the ground. This allows it to eliminate unwanted metals hence can distinguish iron from valuable metals. It has disc or notch control for this purpose. Sensitivity can be adjusted to reduce electromagnetic interference. It also has target identification on a meter which displays whatever is being swept over. It also has a low-battery indicator to prevent you from going hunting only to realize that your device has no juice. The submersible coil is 8-inch and can be used in shallow waters and damp grass. It can search up to 8” deep for coins and similar-sized objects and 3 for larger objects. It has three operation modes: motion all-metal mode which identifies all metals with one tone, discrimination mode which eliminates iron and other trash and Tracker IV which uses two-different tones to distinguish trash from valuable metals. It is equally light for easy maneuverability; one can sweep for longer periods of time without getting tired. Its ergonomic design is also made for comfort and easy handling. Its height can be adjusted to your convenience and has a padded arm rest. It also has a detector stand. To top of all these goodies, it comes with a five-year warranty. It also has a headphone jack that is compatible with most headphones. It works on two 9v batteries which are not inclusive of the purchase. As the name suggests, this device is made with the kids in mind. Because of that, nothing is spared with regard to comfort. It is super light so it can be used for hours and its ergonomics feature an adjustable shaft which is good since children tend to grow so fast! The shaft extends up to 2.25 inches. It has one-tone audio indicator which gets louder as one nears the target. It has a special discrimination control to leave out iron and other unwanted objects unless otherwise in which case you can still alter that. It also works with a preset ground balance that rules out minerals in different soil types. It also have an all-metal mode which detects all metals within range. Speaking of range, it can detect coins as deep as 5” and 2 feet for larger objects. The 6.5-inch coil is essentially child-proof which is elicited by an all-weather design in case your child leaves it outside after playing. The control panel has an intensity-meter and a visual target system. Low batteries are also indicated. It requires two 9V alkaline batteries to function. This device can definitely keep a child entertained for hours. While you want to find something really cheap, try not to stoop too low. If it is less than $100, try not to go too low to $20 as these prices are good for children’s devices and second-hand ones which would be ideal only if they are what you seek. If they are not, spare a few more dollars and get a relatively good one such as the Bounty Hunter Gold Digger for $60 which can really help you out of a lost wedding band for instance. The larger the diameter of a coil, the more the sensitivity usually. For a price less than $100, the standard device you would get has an 8-inch coil. Additional features that would help you know you are getting a bargain include and interchangeable coil for instance because that would imply two-for-the-price-of-one. E.g BH Time Ranger. Another feature would be the coil’s Waterproof nature. Some are semi-waterproof meaning they can be used in shallow waters but not in deep ones. This is subject to preference and location but a full water-proof beats a semi any day. The technology of the coil is also important. The latest ones use D-tech which you should really look out for. Notching: whatever they may package it as, your detector should be able to discriminate targets based on their signal strength and depth and give you an option to determine what strength you want to find. Ground balance: whether automatic or user-defined, you should be able to minimize interference by electro-magnetic waves and minerals in the soil. Sensitivity and discrimination should be altered to your preference. LCD Display: Having an LCD display beats having none. You should be able to find a display with the sensitivity, target ID and battery level shown. The audio could have in-built speakers or come with headphones. The headphone jack should be there for your comfort and suitability. At this price, do not count on high end headphones being a part of the parcel. On the tones, mono-tone to three or four tones are available. This depends on your choice but generally having more tones is always better as you tend to only dig up what you want rather than doing a blind survey. Iron discriminating tones are essential too. Most of these devices need batteries to run. You need to find the best kind and the ones that tend to last longer. Reading reviews from users on a particular product are of use here. The most reliable ones are the ones users tend to like and buy. Based on reviews on Amazon.com, Bounty Hunter and Ace Garret come tops. The others worth mentioning are Coinmaster, Tesoro and Whites. The ones with adjustable shaft lengths are user-centred and are usually comfortable to use. Look out for arm-rest padding and handle materials too. Lightweight detectors are handy tools that tend to be used longer as one does not get tired quickly. This is useful for anyone who is passionate about hunting from time to time. What goodies are added? Is it GPS-enabled? Wi-Fi perhaps? I am kidding but really, this are the sell-out points that determine whether you should buy it for real. For a good buy, rather than these features which are cool, do not get me wrong, look out for the warranty instead. Good BH products can have up to 5 years on a purchase. These warranties can be on goods and service or either alone. Ensure you determine this first. This part also answers the question of what you want to use the detector for. A parent buying his/her child a detector would find a weather proof coil suitable while a professional might find this absurd or unnecessary. Other features which vary include touchpads and depth of detection. At the end of the day, what are you really looking for?